Right now there are 1,500 satellites in the sky and if all the planned launches are realised this could rise to 25,000, it’s therefore inevitable that increasingly space data will be part of our day-to-day reality. For Generation Z it will be all pervasive and change pretty much every aspect of their lives. This is an exciting time. I’ve worked with innovators from universities across the country, start-ups and with investors and the consensus is that this new space age, is something that could be bigger than the Internet. There is a myriad of information/data types that can be gleaned from space satellites, including high resolution mapping imagery, climate data and the topography of the land and sea and all the people and creatures that live upon and below it. 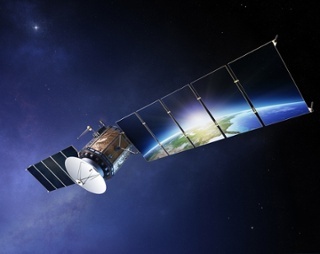 The Satellite Applications Catapult, together with the UK Space Agency, have put together the Data Discovery Hub that makes it straightforward to identify and access a broad range of satellite data. As you can imagine this will and is having a major impact on many industries including defense and intelligence, engineering and constructions, environmental monitoring, agriculture and farming, oil and gas, tourism, GIS, emergency services and natural disaster planning. Living Map, a digital mapping company which offers location-based services for urban and indoor areas and this year raised £1.1m investment. Sherlock, has developed an invisible GPS anti-theft device for bicycles. Trackener, has developed a connected device using the power of data analysis to help horse owners detect and prevent health problems. Animus Technology, using space data for business intelligence starting in the oil and gas industry. Life is about solving problems but I think when you have a shell of satellites around people will inevitably have concerns, one is around data and privacy and the other major concern is around space debris. That’s understandable and we’ve got to take that on board. Ultimately I think a deeper understanding of our lives through satellite derived information is worth conquering those dangers. What we’ve heard about climate change reinforces that this is the way we can engage with the environment, we can make positive changes about the environment that we all care about. 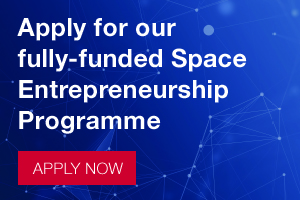 That’s why we’ve teamed up with the UK Space Agency to offer fully-funded places on our acclaimed 2-day Entrepreneur’s Programme, to help innovators who have idea for an application, product or service that utilises space derived data. In a short space of time, you will be able to stress test your idea and understand whether it’s financially viable. 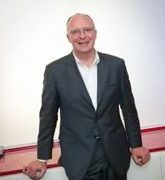 For the most promising business ideas, this can lead on to 12-months of business support from SETsquared, the global no. 1 university business incubator entirely for free. At the recent UK Space Agency Conference, 13-year old James Pearson won the SatelLIFE competition for best innovation idea utilising space data. He’s identified an application for big space technology down here on the ground that can be put into people’s hands to help them engage with the environment. His idea is a mobile app which collects, analyses and visualises a range of location-based data, aimed at the coastal environment. 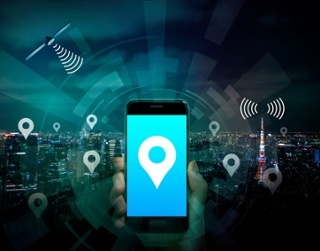 This would allow users to see changes in the coastal environment over time, to geo-tag wildlife to help track sightings, to track sea level changes over time and to view trends in weather and climate data over time. If he can do it, I’m sure there are many other researchers, innovators, entrepreneurs, students and mere mortals out there with great business ideas for using space data. So grab this opportunity to develop and explore your ideas at one of the Entrepreneur’s Programmes that we have running throughout the UK – with dates across 2017 & 18.